Whether you come to WMH for surgery or due to a medical concern, our highly trained and skilled Registered Nurses are the key care givers in a team dedicated to making your stay safe and as comfortable as humanly possible. 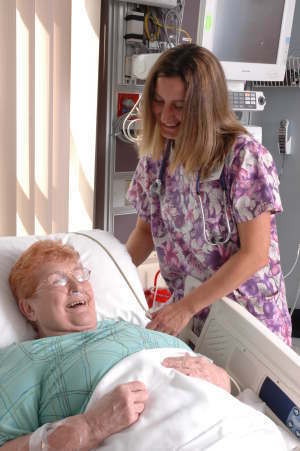 RNs lead a team of Licensed Practical Nurses, Certified Nurses Aides, therapists and technicians in ensuring your physician's treatment plan is carried out efficiently and effectively. As a community hospital, our RNs and other care providers truly understand your and your family's concerns because they are your friends and neighbors. We're proud this team brings a wonderful family feel to the care of all patients.